Heavenly blog! : 1744: Gift of tongues - its use and importance to us believers! 1744: Gift of tongues - its use and importance to us believers! Gift of tongues - its use and importance to us believers! "It is that Pentecostals and Charismatics who have been experienced to be baptized in the Holy Spirit, END TO LANGUAGES IN LIFE AND USE THE LIFE GIFTS IN YOUR DAILY RANGE WITH GOD!" As simple and good it can be said. 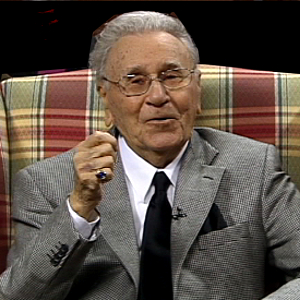 The picture of Oral Roberts who really deserves tribute to having raised the language goal so that they are dear friends, this is the great and glorious respect of. Speak in tongues dear friends like you have never done it before, primarily in your personal sphere. Acts 2. 1. And when the Pentecost day had come, they were all gathered in the same place. 2 And suddenly there came a sound from heaven as of a fasting weather, filling the whole house where they sat. 3 And it seemed to them that they were tongues like fire, which separated themselves, and sat upon every one of them. 4 Then they were all filled with the Holy Spirit, and they began to speak with other tongues, as the Spirit gave them to speak. My baptism in the Holy Spirit. I was baptized in the Holy Spirit in April 1982, with tongues that came of themselves when I was then so fulfilled by the Spirit of God that it was right and true that the tongues came as a result of a Spiritfulness. I had been with Evangelist Finn Arne Lauvås who really led me to a baptism in the Holy Spirit. He said that if and when you knew you had tongues - a new language - you'd just let it out. As I got out of his car and came to myself, I was baptized in the Holy Ghost and it poured out a new language in new tongues that was unknown to me but wonderful, wonderful and great it was all! When I was baptized in the Holy Spirit, I received a permanent new language in new tongues that is important and necessary in the daily dealings with God. When speaking in tongues, one communicates with God in such a way that one prays and praises God in such a way that the scripture says that one speaks secrets with God. A secret in the sense of writing is to draw aside what separates us and God. In other words, speaking in tongues is a "direct" line with God. The basic text states: to make a sound with your voice. Which shows that when we speak, "tin" activates the spiritual world to our advantage. So speaking in tongues is to have free, true and direct access to God. In many ways speaking in tongues is to pray for God's will, directly without interference by ourselves or others. Scripture is in a testimony that speaking in tongues, it "raises" our life and relationship with God Almighty. The tongue goal is like a "turbo" in our Christian life. It gives us something extra that nothing else gives. We come in "contact" with God right away, so it's often good and right to pray in tongues first before praising God in his own native tongue. The sole purpose of the tongue is to build in the private sphere, but we shall not refuse others to speak in tongues in the church and in a larger community. But above all, it must be seen in the church and in a larger community. 1 Cor. 14 5 Nevertheless, I wish you all spoke with tongues, but that you spoke prophetically; He who prophesies is greater than he who speaks with tongues, unless he suggests that the congregation can build it up. 13 Therefore, he who speaks with tongue asks that he may make it clear! Tungetale is a spiritual gift of grace. It means speaking with words or in a language you do not know to build both yourself and others. Jesus foretold speaking in tongues: "And these signs shall follow those who believe:" They shall speak with new tongues. "Mark 16:17. The first time someone spoke in tongues was on Pentecost, when the Holy Spirit was poured out upon the Apostles, as we can read in Acts 2.1 to 12. The apostles spoke the gospel to the people of Jerusalem, and what they said was understood by people who spoke many different languages: "... we hear them speak of the great works of God in our own languages!" Acts of the Apostles 2.11. Later Paul also writes about tongues, in 1 Corinthians 12 and 14. But here he writes that the speaker in tongues does not speak in an understandable language: "No one can understand him, but he speaks secrets in the Spirit." 1 Corinthians 14 , 2. Nevertheless, this gift that has been given to believers may be beneficial to the recipients and used to build others in Christian congregations. Much of what is written in the Bible about this grace is written by Paul to the church in Corinth. Apparently many of them had received this gift, but did not understand the correct use of it in their assemblies. Paul tried to help them understand the purpose of tongue speech: "There is a difference in grace, but the Spirit is the same. There is a difference in services, but the Lord is the same. There is a difference in powerful effects, but God is the same, he who works all in all. But the revelation of the Spirit is given to everyone who is beneficial. For to one, the speech of wisdom is given by the Spirit, to another word of knowledge by the same Spirit, another believing in the same spirit, another grace to heal by the same spirit. 1 Another is given power to do wonders, another gift to prophesy, another gift to test spirits. Another gets different kinds of tongues, another interpretation of tongues. "1. Corinthians 12.4-10. Tungetale was one of many different graces that were given to believers in the building of the body of Christ, which is the church. Language in itself can help a human being. Paul says, "He who speaks with tongues, builds himself." 1 Corinthians 14,4. Tongue languages ​​can help us express what is in our spirit and which we can not express with words. Paul makes it clear that the best way to build the church is to speak prophetic, with "common" words that build faith and understanding for all who hear the speech. "I thank God: I speak more with tongues than all of you. But in a congregation of congregations, I will also speak five words with my understanding, so that I know it can teach others than ten thousand words with tongues. "1 Corinthians 14, 18-19. However, tongues can also be "to be useful" in a Christian assembly if it is interpreted (or interpreted) to a language that the members of the assembly understand: "How are you, brethren? When you come together, each of you has a psalm, a doctrine, a revelation, a tongue or an interpretation. Let everything happen for reconstruction. If someone speaks with tongues, let it be two or in height three, one at a time and let one deny it. "1 Corinthians 14,26-27. When used in this way, the tongue goal should be used to emphasize and support the spiritual message, and not because one feels strongly moved in his feelings. In this way, other than the speaker in tongues will also be built up. The tongue gift was also given for another reason: "The law is written, By people with other tongues and stranger's lips I will speak to this people, but not even they will listen to me," says the Lord. Then the tongues are a sign, not for the believers, but for the unbelievers, the prophecy is not for the unbelievers, but for the believers. "1 Corinthians 14,21-22. In this way, it can benefit those who attend a gathering, but who have not yet committed their lives to Christ. In this way, it can benefit those who attend a gathering, but who have not yet committed their lives to Christ. There are also cases in the Acts of the Apostles where people who were baptized with the Holy Ghost spoke in tongues at the same time. This occurred especially on Pentecost when the baptism of the Holy Ghost was given for the first time, but it also happened on other occasions (see Acts 1 and Acts 19,5-7). But there is no place that these two should always happen at the same time. Who receives this spiritual gift? It is stated in the Bible that not all believers receive this gift: "And God first put in the church some apostles, the second prophets, the third teachers, then powerful deeds, so gifts to heal, to help rule , and different kinds of tongues. Are all apostles? Are all the prophets? Are all teachers? Do all good works do good? Have all the gifts to heal? Do you speak all tongues? Can everyone tell them? "1 Corinthians 12,28-30. We see here that only someone is allowed to speak in tongues, just as some are called apostles, etc. As with all the gifts of all the Spirit, tongue-giving is not necessarily a sign of spiritual maturity. Many of the Corinthians spoke in tongues, but Paul said that they were "toddlers in Christ." (1 Corinthians 3,1) However, when the gift is used in a tidy and appropriate manner, it can be used to build both themselves and other members of the body of Christ. It is not a and b Christians, we are all Christians who have been cleansed in Jesus' blood and become God's children. But it is a richer life with God it is about. Where we have also got a language available to interact with God, these are really wonderful dear friends. As believers and humans, one needs to some extent to be "friend" with ourselves and good, but God rather than anyone else. Then the tongue goal is perfect, because speaking of tongues we speak directly to God, without detours of our understanding. Therefore, it is very good, especially in tribulations and difficulties, to speak in isolation with God and speak or praise God in tongues. This also encourages the writing to. 1 Cor. 14. 15 How is that? I will pray with the spirit, but I will also pray with the mind; I want to praise the spirit, but I also want to praise the mind. Here the apostle rightly states that he prays and praises in his own "mother tongue" and tongue. This is a practice we need to put ourselves in the heart, speaking in tongues, and praising in tongues a practice that is highly healthy, biblical and novel. This blessing is for all believers, no one is omitted!